O today I was very brace and put the baby in cloth nappies the whole day. 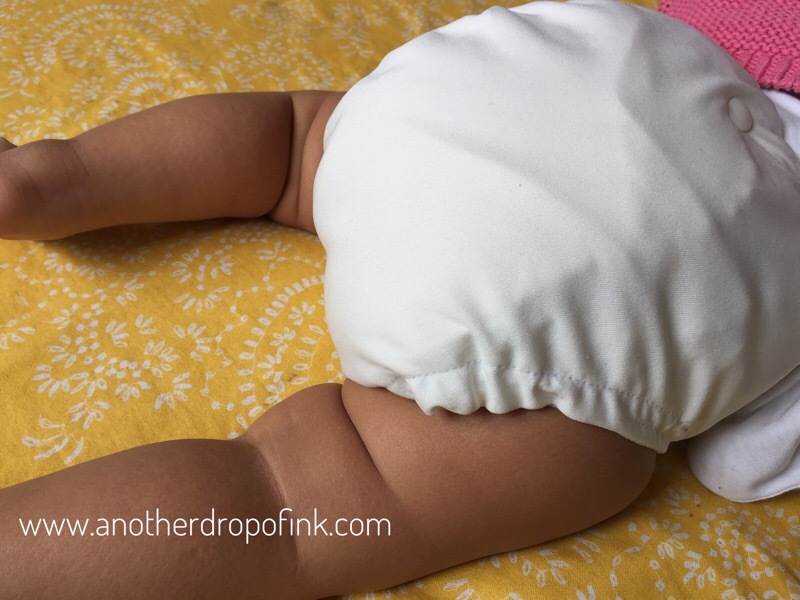 I decided to use the white nua baby brand that I mentioned before, because of the detachable inserts. We had to go to the city for an appointment so I felt a bit out of my comfort zone. 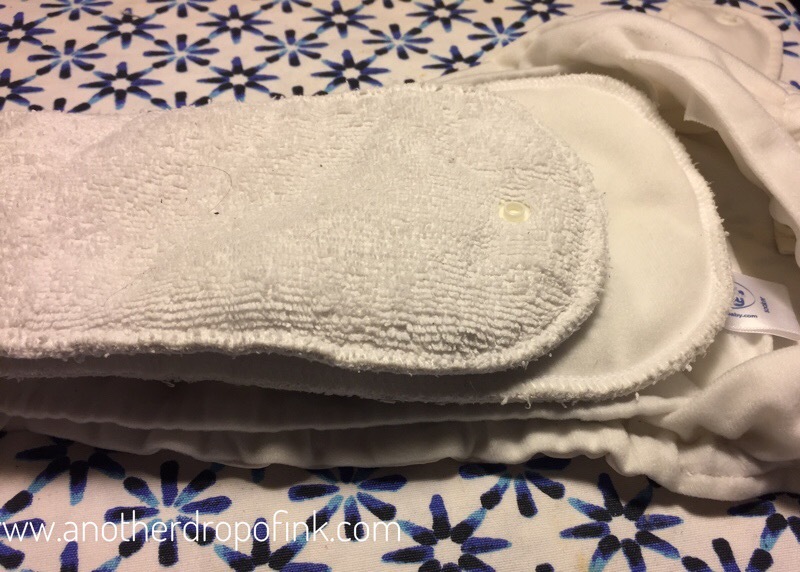 Very white nappy with very white inserts. It’s not a very bulky nappy, and I carried extra inserts just in case. I did need to change her and of course this is when I discovered that I hadn’t taken anything for the pee soaked inserts. I had to place them in a disposable nappy sack after rinsing it out in a sink. I hate the smell of the little sacks more than I hate the smell of poo to be honest so I was gagging taking the inserts out of it at home. 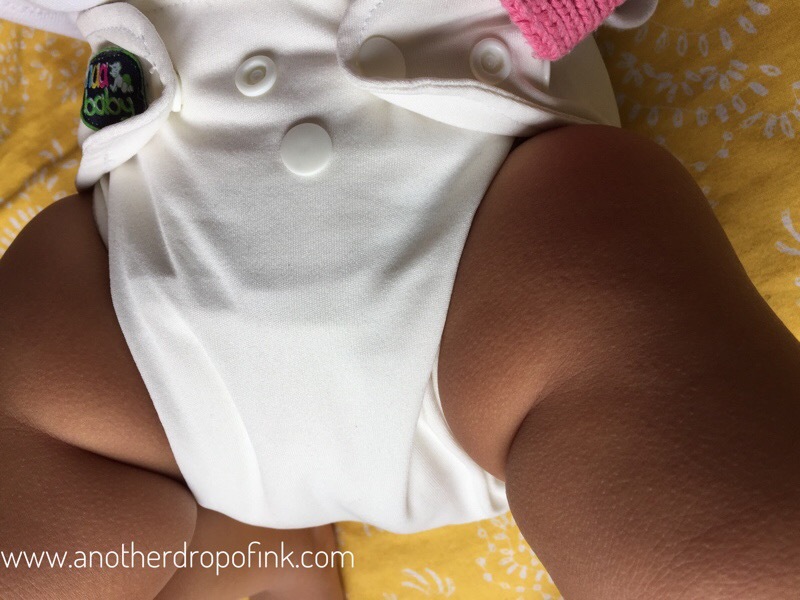 When I used the extra inserts sent by the cloth nappy library I also used a fleece liner each time, and was pleasantly surprised to find her bum stayed dry between changes. Wool really is amazing. Look at that chunky cuteness! So all in all a good day with the cloth. Tomorrow I’ll have to try another brand just to see the difference. Wish me luck. Still not brace enough to use them at night though. I’m just imagining the smell of hour’s old pee. I must ask around and get some tips.